The National Concrete Pavement Technology Center (CP Tech Center) at Iowa State University is a national hub for concrete pavement research and technology transfer. The Center was founded in 2000, and since then, has been instrumental in developing and helping to advance the nation's strategic plan for concrete pavement research, The CP Road Map. 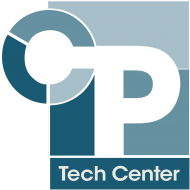 The CP Tech Center has a wealth of web-based research and technology resources, including a searchable technical library and a detailed compendium of research and related resources. Just a few of these resources include an online research project search function (by topic or key words), a listing of key research initiatives, a listing of current and recent research partners; research reports; and tech transfer summaries. Help street and road agencies find answers to their concrete pavement-related questions. Identify critical concrete pavement research needs and discover sustainable solutions. Help agencies, industry, and businesses incorporate advanced, sustainable solutions and new technologies into their day-to-day practices. The CP Tech Center’s Executive Board of Directors (Executive Board) provides direction on center business operations, including management and finances. The Executive Board includes 10 to 12 representatives of organizations that provide substantial financial support. CP Tech Center staff is committed to inclusiveness and stakeholder governance, both hallmarks of the organization. With federal, state, and industry support, the CP Tech Center helps set and implement a national research agenda to benefit the concrete paving community. The center accomplishes this work by facilitating strategic short- and long-term partnerships. Its partnering relationships include almost 100 organizations in more than 30 states—including the Federal Highway Administration, state DOTs, state concrete paving chapters and associations, industry representatives, and research universities. Through its national partnerships, the National CP Tech Center is able to shorten the time it takes for scientific research to become day-to-day practice, getting new approaches and technologies into the hands of users more quickly and efficiently. Executive-level decision makers (e.g., State agency highway division leaders or district engineers) understand why and how the organization and its customers will benefit from a particular advancement. Project-level decision makers (e.g., State agency design or construction engineers) understand the value the advancement adds to a specific project. On-site decision makers (e.g., technicians, project supervisors, inspectors, crews) understand the nuts-and-bolts of how to implement the advancement. This page was last edited on 25 February 2015, at 18:55.